Long time ago, using location monitoring applications used to be an exclusive business of the government. Then, people were not drawn to using such applications for many reasons. Firstly, they used to be very burdensome and too pricey for most people to afford. Secondly, installing them on cell phones used to be a Herculean task, because their downloading process would consume so much time that it's best not to trigger it in the first place. However, the fast pace of the computer age and the quick innovations in software technology have turned the tide against the complicated and traditional past. Today, cell phone monitoring applications are not only easier to install, either entirely free or reasonably priced but also have built-in location sharing features. 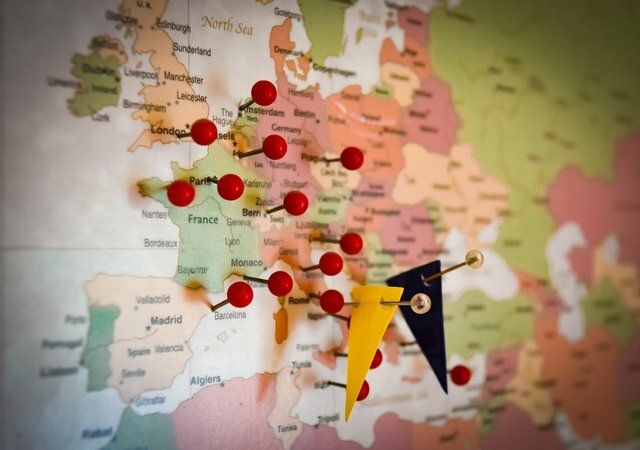 While some of these applications are made to track and share locations, others are specifically made to find the exact GPS latitude and longitude coordinates of a location and share them. This latter version doesn't entail tracking of another person's location; its concern is to establish the very user's location coordinates. The established coordinates can then be shared to a third-party to inform him/her of the user's whereabouts. In this article, I will be reviewing one of such location based sharing applications known as the Location Share, and which I have been using for quite some time now. Location Share application & my impressions of it? 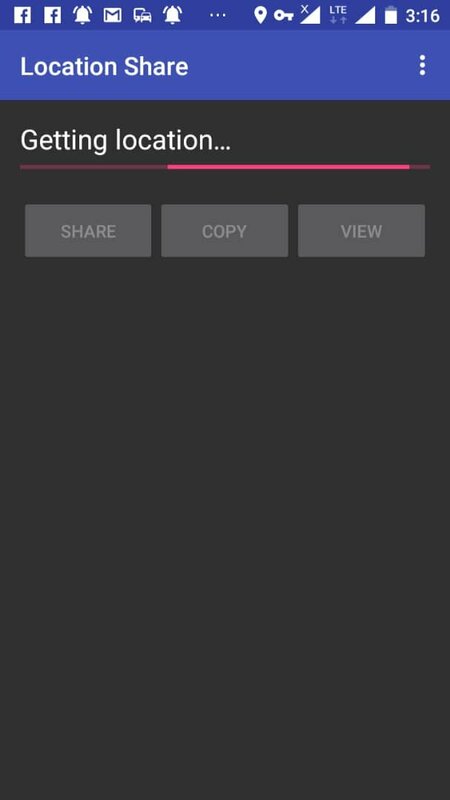 Location Share is an exclusively made location sharing application that allows users to share their location with either whole public or a few selected contacts. With its quick real-time location sharing ability, the app is capable of pinpointing locations in a very fast and efficient way. Based on my experience of the app, I'd say one of its greatest advantages remains its high degree of accuracy. It quickly homes in on a location with preciseness of just 2 metres. And when I say this, I mean it. Since I have been using this app, there has never been a case of misguided coordinates quotation. Its coordinate quotations are always ± 2 metres within the actual target range. Personally, I think the app's reliability is unquestionable. Being someone who's always on field assignments, I have used lots of other similar apps in the past. But I would say none of those apps' actual performances come close to that of Location Share app. This rare ability to give reliable data ± makes it top choice of the user public. The app has been really useful to me I must confess. I mainly use it to explain to folks where I am and where to meet, which gets especially difficult when stuck in a crowded, noisy area. I see the app as the quickest, easiest and most user-friendly way anyone could use to share his location with friends and family at any point in time. With that being said, there are many compelling reasons I think everyone should have this app on his phone. I know most people are into the habit of waving off every suggestion as inessential. But that won't make me to backtrack from stating these reasons. It's up to you to decide to take them into consideration or not. To direct emergency personnel to you in the event of accident where it might be impossible to either call or send sms. No one is praying for this but it's a possibility. To coordinate a social night out with pals. To let your family know you are safe while traveling. To let your spouse know your estimated time of arrival from work so that he/she doesn't get unnecessarily unease. To find friends at a concert festival. To provide a courtesy notice based on estimated time of arrival to a waiting client when stuck in traffic. Seriously, if you are looking for a location based sharing application, i strongly recommend Location Share. The app is my go-to app when I want to share my current location the easiest way. And the most amazing part of it is the fact that I don't have to create an account before using it. Again, the app does not auto-share. So, it will not send my location coordinates to anyone except those I explicitly tell it to, which I think it's okay security wise. Location Share is integrated with Google Maps, OpenStreetMap, and GeoURI to support smooth user experience. This is one of the reasons I like using this app. 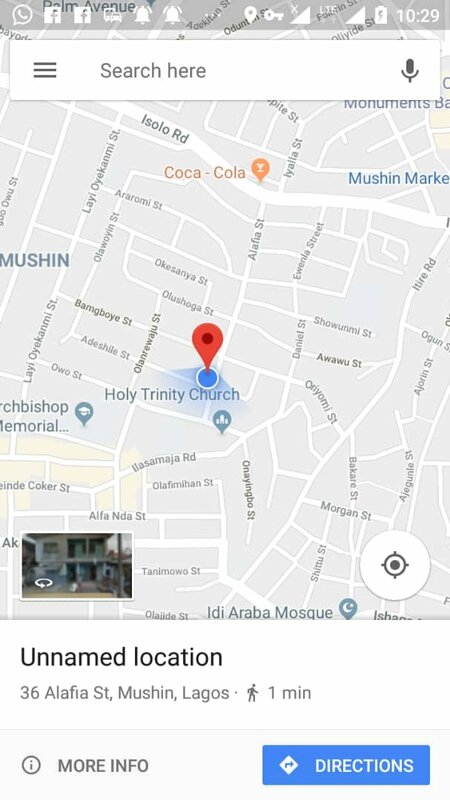 Google Map, with all its amazing features, is a very easy map to read and understand. Its simplicity is topnotch. Integrating Location Share with Google Map make it a very appealing app to many people. 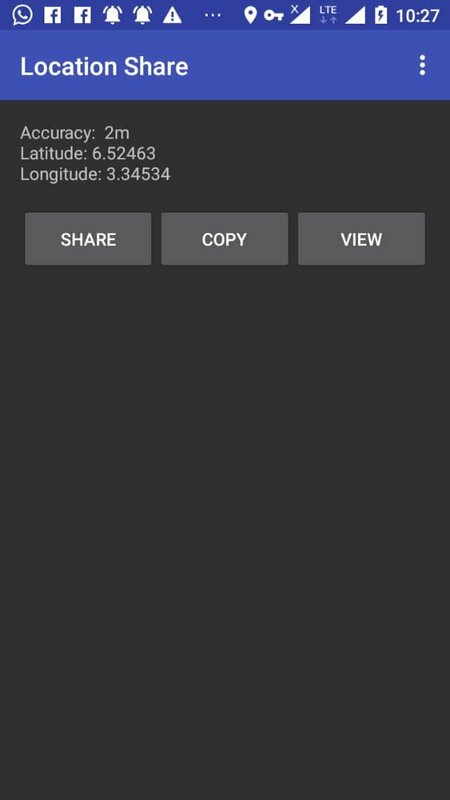 Once app is launched, it will require a couple of seconds to load during which it will establish your location coordinates (see the image by left below). Once it has successfully established the location coordinates, it will start to sharpen the location accuracy to ensure the target is found within the shortest possible range. This is indicated by the decreasing location parameters. In the images below, notice that Accuracy value decreased from 24 m to 2 m; same with longitude and latitude values. With stabilization of the location coordinate values, you will have the choice to view the location on a map, share it or copy it to the clipboard. Whichever way that appeals to you, it's all good. Now let me drop a few details about sharing the location details. Launch the app and wait for it to load. Click Share button and select Google Maps. Choose to share via WhatsApp and send to the appropriate contact. In this case, I sent to location coordinates to my second phone, My MTN line. So now, let's see what it looks like at the other end (i.e my second phone). 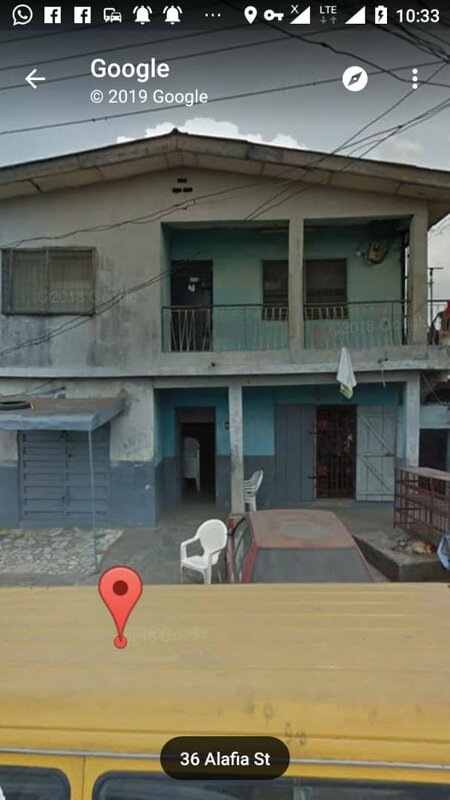 Please note that I am currently at number 36 Alafia Street, Mushin, Lagos. Using my second phone, the two images below represent my location when viewed with Google Maps on my second phone. The house by the right is where I am writing from currently. That goes to show that the accuracy of this app is topnotch! 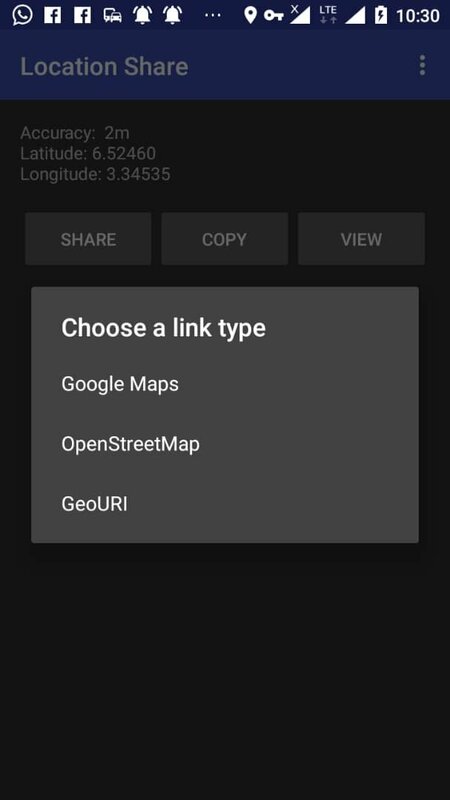 Apart from sharing via Google Map, I do share via OpenStreetMap but why I don't normally share through this means is because OpenStreetMap doesn't provide much street coverage. A lot of major areas in my country are yet to be entered into the database of the OpenStreetMap. This is why I don't normally use it. But since we aren't from the same country, you may go ahead and try using OpenStreetMap. Who knows, it might work well for you. So go ahead and have fun. I have taken time to review every aspect of the Location Share application. I don't think there is any aspect of it that's left to be reviewed. The app is simple to use and truly amazing. Again, it provides multiple means of sharing location data. This flexibility will enable it to meet the tastes of many people. Kudos to the developer(s). Available for download on Play store and F-Droid. Thank you for your contribution. I've never used this application, and it seems like a rather useful tool. Your review is informative and well-illustrated with quality screenshots. On the content side, I like all the information provided. The post contains significant information about the project and the key features mentioned, and even includes valuable insights about your personal knowledge and views. I also enjoyed reading about your personal experience with this project, and it goes without saying that I appreciate the effort you put into your work. That said, the post did have issues of style, and I think that an additional round of proofreading would have helped significantly. I would be happy to cite a few examples in a follow-up comment, if you wish. Nevertheless, it was a solid overall effort, and I appreciate the information you have provided us with.